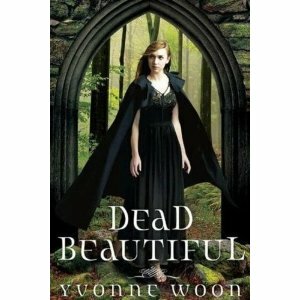 The Faded Bookmark's recommended read for May is Dead Beautiful by Yvonne Woon. Never judge a book by it's cover, or in this case the blurb on the back. Moving from a sunny American state to a mist-shrouded school? Finding your soul mate who is also hiding a secret? Sound familiar? Our bookshops have been swamped with supernatural / vampire romances, so what's so different about this one? With trepidation I started to read...and didn't stop until I'd finished the whole book, cover to cover. The book starts off with Renée a sixteen-year-old girl, enjoying her birthday at the beach with her best friend. On the way home something draws her into the woods where she finds the dead bodies of her parents, coins strewn around their bodies and gauze stuffed into their mouths. They died of heart attacks at exactly the same time. We follow her as she meets her mysterious, rich grandfather, is moved to an elite boarding school (Gottifried) and has to make new friends. Then we find out a boy died last spring in the school woods, also of a heart attack, his tie stuffed in his mouth. Something is lurking in the shadows and there are rumours of the Gottifried Curse. Renée also has a strange ability to find dead things; dead birds, dead deer and bodies. She meets Dante, so "intelligent, elusive and devastatingly gorgeous, most people can't decide whether they love, hate or fear him." Yvonne Woon litters her story with clues so that just as you think you are finally putting the pieces of the puzzle together, another piece pops up. This book has depth and layers, artfully woven together. She's taken a simple concept by Aristotle and expanded on it, ".. a single soul dwelling in two bodies." Throw in some transcendentalist concepts (your soul rising beyond your body), along with some Latin, and suddenly the book is more then just a Twilight wannabe. 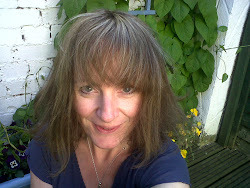 "How do you describe the briefest sensation?...The immeasurable grief we feel when faced with death? We can't even begin to communicate these complex emotions to each other. But Latin can illuminate sensations you never realised you had." Actually Woon, does all this and more in plain, accessible English. There was only one minor point that slightly detracted for me, would a sixteen-year-old really wear the clothes her mother wore at sixteen? Dead Beautiful has pace, romance and is skilfully written. A worthy début novel by Yvonne Woon. She's a writer to watch.